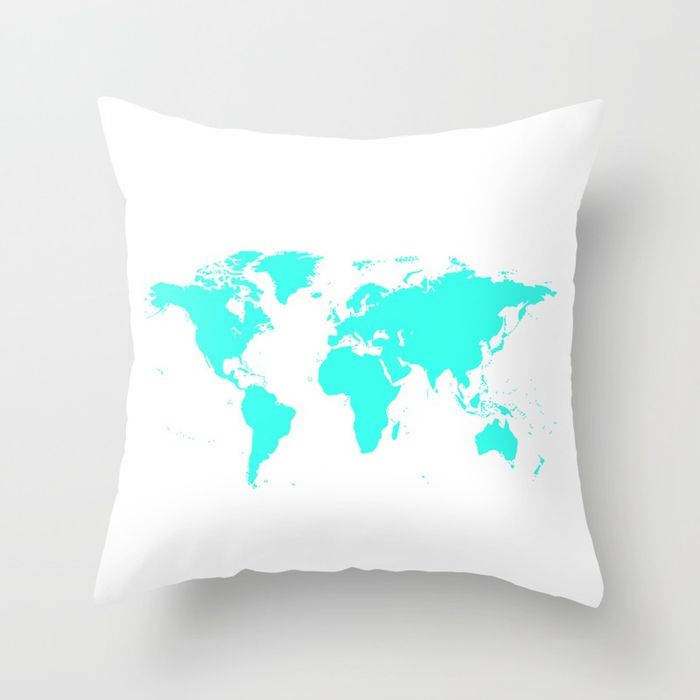 Beautiful and unique home décor featuring "World Map - Aqua Blue and White". 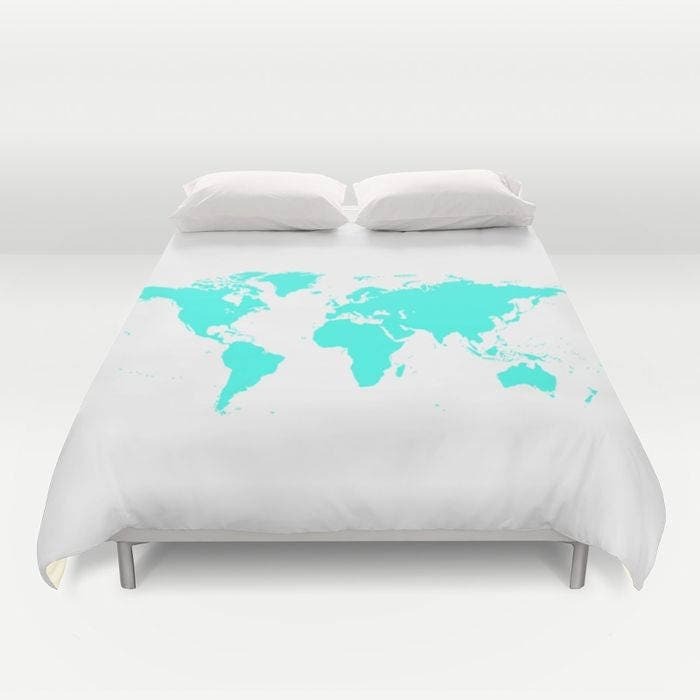 Please choose from the drop down menu for full, queen or king size cover. Your order will be shipped 3-5 working days by US based manufacturers who print my images onto them for me.